This book, at the intersection of early childhood and reconceptualizing practice, looks at how practitioners, theorists, and teachers are supporting young children to care about the environment differently. Despite the current popularity of post-human perspectives, in social science more broadly and in early childhood studies more specifically, this is one of few to make visible international practices and perspectives that emerge at the intersection of early childhood education, environmental justice, sustainability, and intergenerational/interspecies communities. The book provides an innovative exploration of the links between children, elders, and nature. 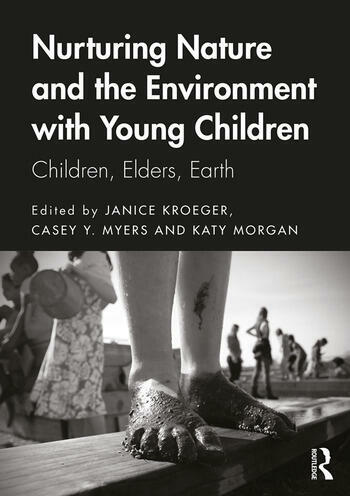 With contributions from established scholars, practitioners, and newcomers this book reframes educating for social justice within an ecological landscape; one in which young children and their elders are mobilized to understand, reconceptualize and even undo negative environmental impact, whilst grappling with the ways in which the earthly forces are acting upon them. Specific theoretical chapters (spirituality, nature, critical and post-human/materiality, pragmatics, and constructivism approaches) are blended with applications of pedagogic strategies from across the globe. This book responds to a growing interest among early childhood professionals and scholars for sustainably focused and ethically reimagined programs. This collection rewards the reader with opportunities to critically reflect on their own practice, delves into new terrestrial collectives, and explores new pedagogical pathways. It will be essential reading for practitioners and scholars alike. Introduction: Why nurture nature and the environment with young children? 5. Turkana Indigenous Knowledge as Narrated by Turkana Elders: Implications for Early Childhood Curriculum in Pastoralist Communities in Kenya. Janice Kroeger is Graduate Coordinator and Associate Professor of Early Childhood and Teaching at Kent State University, USA. Casey Y. Myers is Coordinator of Studio & Research Arts and Assistant Professor of Early Childhood Education at Kent State University, USA.